Looking for an inspirational craft project? Look no further than your recycle bin. 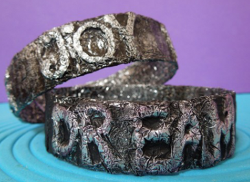 Make Embossed Water Bottle Bracelets from Tiffany Windsor and include meaningful words and phrases on your pieces. Recycled water bottle crafts are both eco-friendly and fun to make! Cut bottom off water bottle. 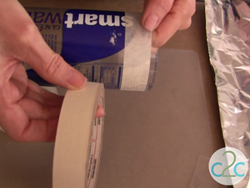 To create cutting line, wrap masking tape around bottle. 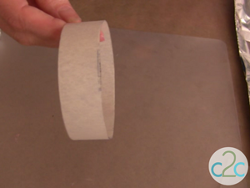 Cut along edges of masking tape to create bracelet (or cut outside or inside the masking tape edge to create different bracelet widths.) Once bracelet is cut, remove masking tape. 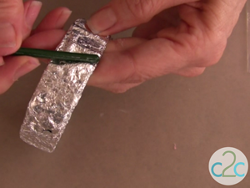 Cut foil to approximately 2 times the size you need to cover your bracelet. 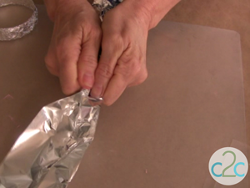 To create texture in foil, scrunch up the foil from side to side. DO NOT roll into a ball! 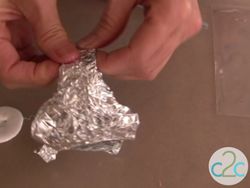 Open and scrunch until entire surface of foil is covered with texture. 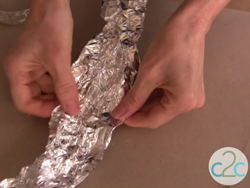 Keep the foil scrunchy – do not flatten all the way. Apply self-adhesive alphabet letters to outside of water bottle bracelet. Brush glue on outside of bracelet. Be sure to apply glue on top of and all around alphabet letters. Wrap foil around bracelet. Cut off excess at overlap and glue ends down. 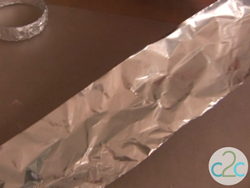 Cut edges of foil away leaving enough foil to wrap to inside of bracelet. 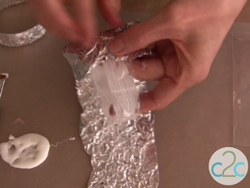 Apply glue to inside of bracelet and wrap foil around to inside and glue in place. 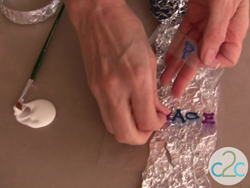 Continue to press foil into glue to reveal embossed lettering. It is helpful to use the handle end of your brush to continue to press the foil in place around letters and to burnish the foil so that it lays smoothly. 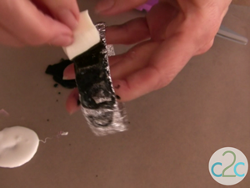 With cosmetic sponge, dab acrylic paint onto outside of bracelet. 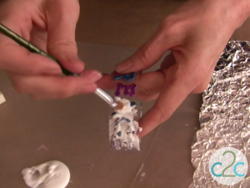 Use paper towel to wipe away acrylic paint leaving an antiqued effect. If needed, you can reapply paint several times and wipe away to achieve desired effect. Repeat painting and wiping process for inside of bracelet. Let paint dry. If desired, spray entire outside surface of bracelet with gloss or matte sealer. 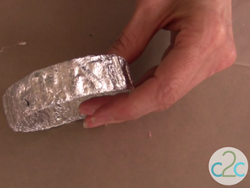 For a comprehensive video tutorial of this project, check out How to Make Embossed Foil Water Bottle Bracelets. I love this and would make some really nice masculine bracelets, which I know my son would love. I will be trying this out very soon. Thank you for something completely different that can be used for men, women and children with a little adaptation.